(Nanowerk Spotlight) Throughout human history, technologies usually involved some kind of "top-down" approach, whether it was breaking a stone axe from a larger rock or using micro- or nanolithography to etch smaller structures from larger entities. In contrast, the self-assembly of nano-objects is an example of the principally new "bottom-up” technological approach which soon may provide novel fabrication processes and products with drastically improved properties. In particular the self-assembly of colloidal nanocrystals makes it possible to obtain structures with a high level of ordering and permit construction of patterns to be used in optoelectronics, photonics and biosensing. What makes nanocrystals so attractive to researchers is the fact that the properties essential to allow the arrangement process, including their size, shape, surface protection, stabilization and charge, can be controlled along with the electronic structure of each nanocrystal. 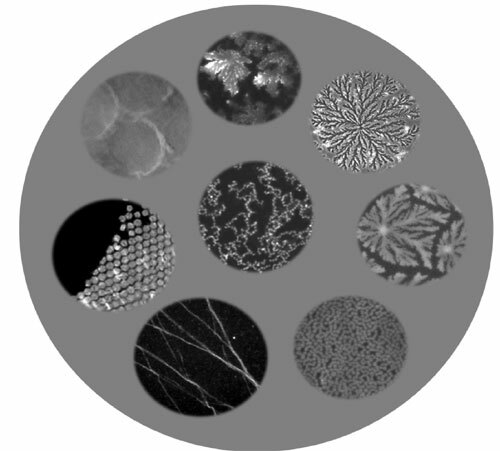 As an example, we developed a "lab-in-a-drop" technique where a variety of nanostructures with desired properties may be produced. Among the different nano-sized building blocks, fluorescent semiconductor nanocrystals quantum dots and quantum rods are especially appealing: their photoluminescence quantum yield may exceed 70% and their photostability and linear absorption cross-sections determine brightness several orders of magnitude higher than that of the best organic fluorophores. This offers the prospect of obtaining quantum structures with advanced optical properties. These structures may be used as scaffolds or nanoblocks to design and assemble electronic circuits, photonic crystals, sensors and LEDs. Among the different techniques of nanocrystals self-assembly, thermodynamically driven self-organization processes allow large-scale production of nanowires or ordered 2D or 3D superlattices with very little infrastructural investment. The technology which our group at the University of Reims Champagne-Ardenne (URCA) have developed and patented is based on the fact that the nanocrystal properties essential to allow the arrangement process (size, shape, surface protection and charge) can be controlled along with the electronic structure of each nanocrystal. We demonstrated that, under carefully selected conditions, the droplets of the aqueous solutions of water-solubilized CdSe/ZnS nanocrystals quantum dots and quantum rods are operating as a “lab-in-a-drop”, in which a variety of nanostructures with desired properties may be specifically produced. The operation of these “lab-in-a-drop” processes may be controlled by external parameters providing the fluorescent nanostructures of desired size, morphology and optical and energy transfer properties. The preliminary results of application of developed technology to the engineering of nanostructures with the energy harvesting and energy transfer properties have been published in Angewandte Chemie International Edition ("Controlled Self-Assembly of Nanocrystals into Polycrystalline Fluorescent Dendrites with Energy-Transfer Properties") and further extended to the production of ordered colloidal arrays potentially applicable to photonic crystals ("Self-assembly of charged microclusters of CdSe/ZnS core/shell nanodots and nanorods into hierarchically ordered colloidal arrays"). We managed to use this technology to engineer the polycrystalline nanowires and proposed the physical mechanism of operation of the “lab-in-a-drop” process. Although a majority of results were obtained with CdSe/ZnS quantum dots and rods, similar nanocrystalline patterns may be produced in the aqueous suspensions of other nanocrystals. The entire process has been reported in Nanotechnology ("Lab-in-a-drop: controlled self-assembly of CdSe/ZnS quantum dots and quantum rods into polycrystalline nanostructures with desired optical properties"). This work is a collaboration between URCA, Trinity College Dublin, Munich University and two Russian scientific centers, University of Informational Technologies, Mechanics and Optics in St-Petersburg and Shemyakin Institute of Bioorganic Chemistry of Russian Academy of Sciences in Moscow. The excellent functionalized nanocrystals for this work were kindly supplied by the nanotechnologists from the NanoFluorescent Materials Company. Our future work will include development of new, self-healing polymers based on nanocrystal self-assemby, applications of designed nanostructures to biophotonics, and to engineering of energy-harvesting and energy -transfer nano-devices operating in a FRET (fluorescence resonance energy transfer) regime. Igor Nabiev is a full professor and the head of the Nano-biotechnology Group at the Department of Nanotechnological Detection and Therapeutic Approaches in Biological Mechanisms of Defense, Federal Research Institute “Biomolecuels” at the Faculty of Medicine of the University of Reims Champagne-Ardenne in France. He is currently conducting research projects on the development of novel cancer nano-diagnostic strategies and approaches to the nanocrystals self-assembling.